“Nothing will benefit human health and increase chances of survival for life on earth as much as the evolution to a vegetarian diet.” (Albert Einstein). If the visionary and forward thinker Albert Einstein had had the current knowledge of the coherences and the impact of nutrition on health, the environment, the climate, on animal and human rights, he definitely would have said the same about a solely vegetable-based diet. 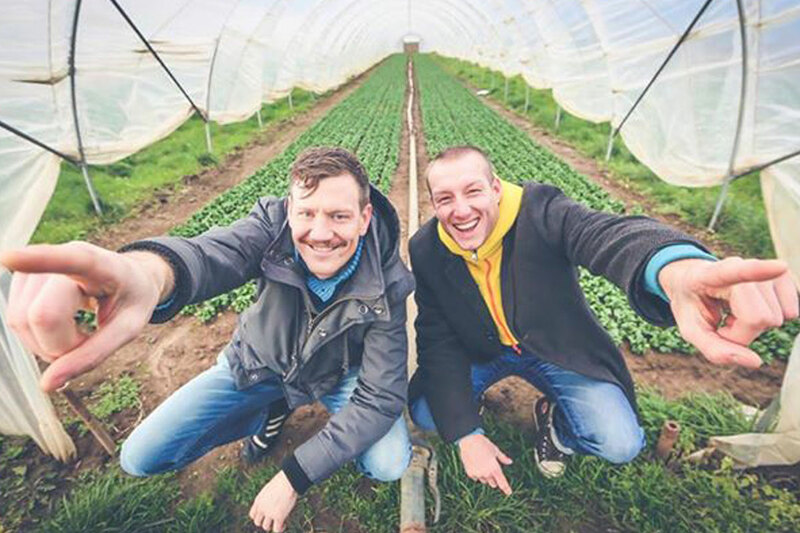 We, the two founders Mario and Ulrich, look back on several intensive years of professional experience as manager, consultant, and internet entrepreneur. In the long term, we couldn´t find our fulfillment, because it did not fit our attitudes and beliefs. Besides, being vegetarian/vegan, we experienced the difficulty of getting good, vegetable food, again and again. We both grew up on the outskirts of Ingolstadt in peaceful Bavaria – right next to the organic farm of the grandma. The roots of our passion for whole food and healthy organic food lie there. From our passion for good and healthy food with authentic taste we founded Bunte Burger. 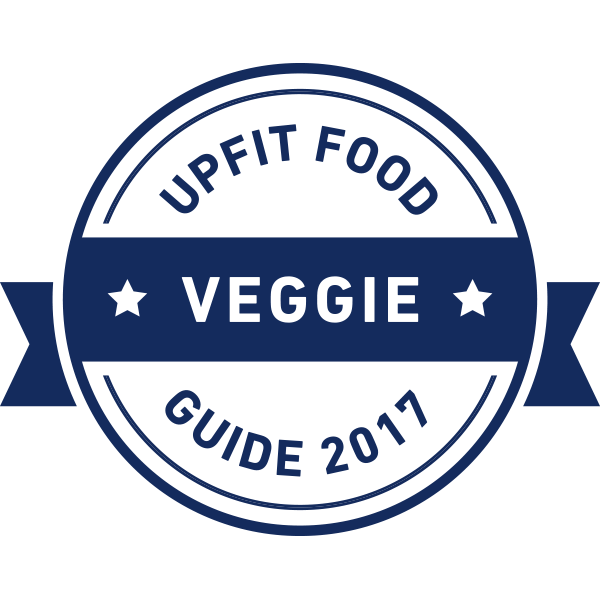 We have the vision to enhance the quality of your life – a purely vegetable-based diet with gourmet characteristics from the best and most healthy ingredients, directly in the vicinity of your workplace. Full flavor guaranteed! 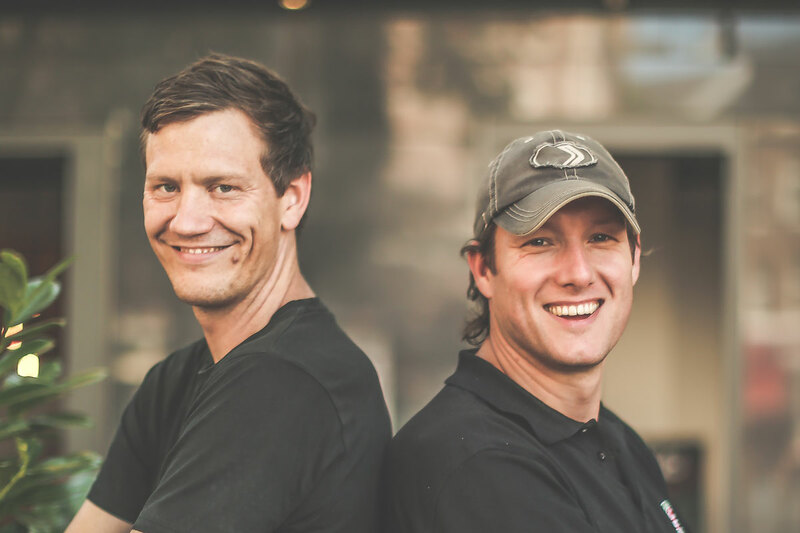 We started with a food truck based on the successful model of the US-American food truck in 2014 and in 2015 we opened the first purely vegetable organic-burger restaurant in Germany. The success and the encouragement of the guests proved us right, that the time has come for a purely vegetable diet. Our gourmet burgers were, however, only the first step to make people aware of it and to transport our message: creative, vegetable, delicious, crazy. Then we started the original concept with new topics such as Brunch or seasonal weekly and monthly dishes. The whole thing culminates now in our vegan multi-course menus, the Monkey Mondays. These embody our passion and love for experimentation, as well as crazy, delicious creations, in order to give our guests a taste experience at the highest level, which can be achieved with herbal ingredients. Just try it out, stop eating and start enjoying! 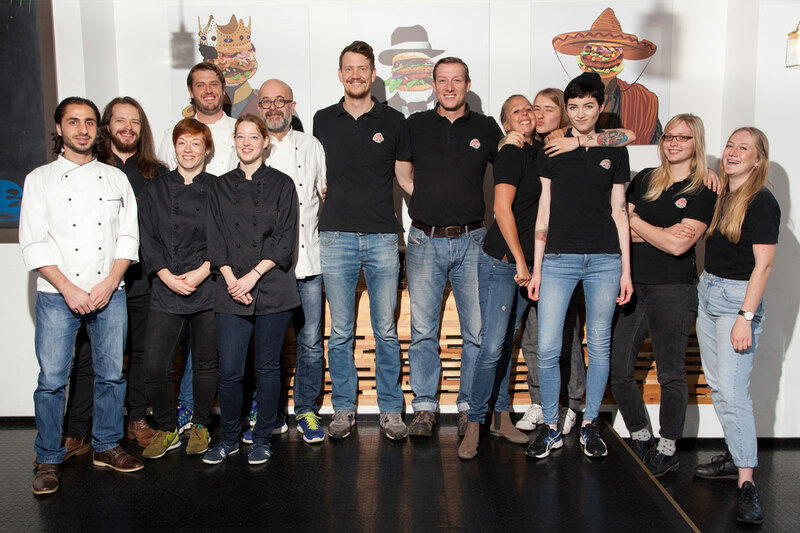 With our Bunte Burger team, we will spoil you with passion on every occasion! All dishes are prepared freshly with love by our qualified and motivated kitchen team in our manufactory. You can taste this in every bite. Our service professionals will gladly read your wish in your eyes. Certified and awarded – at our place, you can be sure that the quality doesn’t only come first but is also verifiable. Naturally ORGANIC! Our fresh fruits and vegetables in our vegan dishes, as well as the whole range of drinks are exclusively certified organic. This is certified by the independent German DE-ÖKO-013 Organic Control Commission. Even our packaging is 100% biodegradable. Naturally VEGETABLE! All our products are vegan, therefore free from animal ingredients. So our dishes are also halal and vegetarian. Naturally SUSTAINABLE! As a member of the association of sustainable enterprises, we live our responsibility towards the world. Naturally GOURMET! The magazine “DER FEINSCHMECKER” refers to us as one of the 250 best restaurants in Germany for the fast (but also slow) pleasure. Naturally HANDMADE! Our products are prepared freshly every day, by us or by one of our partners. In doing so, we dispense with additives such as, flavourings, flavour enhancers, preservatives, in order to ensure an intense and authentic taste. Our actions as a company will always be associated with the negative effects on the environment and nature. Therefore, we try to keep our environmental footprint as small as possible. This, we achieve not only by selective purchasing and with short transport distances, but also by using 100% biodegradable packaging. In this respect the motto is: As much as necessary, as little as possible. For us, sustainability also means social responsibility towards society. Hence, we support selected social and sustainability projects in the region. Besides, we supply social institutions (e.g. the food bank „Die Tafel“) with the remaining quantities of our ingredients and products which we couldn´t sell. This is why, we are also engaged in the Association of Sustainable Enterprises Verband der nachhaltigen Unternehmen – dasselben in grün and live our responsibility towards the world and our fellow human beings. Our partners have all been specially selected by us carefully. We place the highest value on the quality of goods and services, to ensure gourmet dining. At the same time, we are happy to work with smaller premium suppliers, which deliver top quality as well as share our values, such as social responsibility and sustainability. This quality offers an incomparable taste experience. Please take a moment and let other guests participate in your experience. 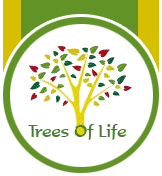 Trees Of Life – The Plant-A-Tree-Community. For each virtual tree a real tree is planted! Together we will save the world. If you are not satisfied with our products, you are guaranteed to get your money back. We look forward to your feedback!